Professor Robert Norman, Professor of Reproductive – Periconceptual Medicine in the University of Adelaide, also the Past ASPIRE President (2012 – 2014) was honoured with the ASPIRE Life Achievement Award for his superior achievement and his compelling commitment to the ideals and concerns within the fertility field. and it publishes more than 500 peer-reviewed papers a year, with many in leading journals such as The Lancet, The New England Journal of Medicine and The Nature group of journals. Professor Norman has developed more than 25 PhD students and many clinical fellows particularly in the Australian/New Zealand subspecialty program (CREI). Professor Norman was also the second Medical Director and CEO of Repromed Pty Ltd, a university-based reproductive medicine and IVF group that introduced ICSI and PGD into the southern hemisphere, achieving the third and sixth pregnancies respectively using these technologies. He was the first in Australia/New Zealand and all of Asia to introduce the ISO quality program into reproductive medicine in 1999. During his leadership of Repromed the university received more than $30 million returned in profit for use in research programs in reproductive medicine. Professor Norman is one of only three obstetrician and gynaecologists in the country who are Fellows of the Australian Academy of Health and Medical Sciences. 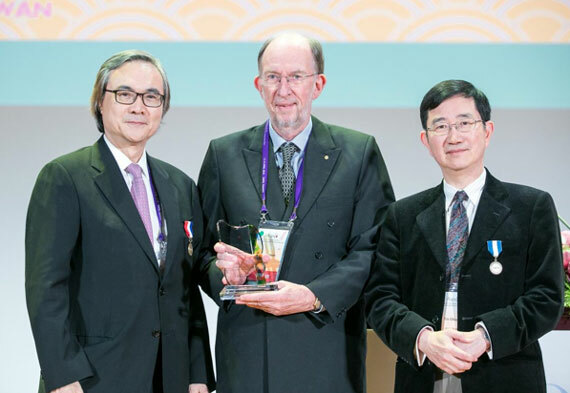 He was the first foreigner to be awarded the Distinguished Research Award by the ASRM and is one of only two life members of ESHRE awarded in 2017. He has been president of ASPIRE and during that time, was responsible for rationalising the constitution, introducing annual meetings and improving the efficiency of the running of the organisation. He is an honorary life member of the Fertility Society of Australia and the Society for Reproductive Biology. He has been awarded an honorary doctorate in medicine by the University of Adelaide and has received one of the highest civilian awards of the Australian Government, in the form of The Order of Australia (AO). He has served in several societies including the Fertility Society of Australia. He has been on the editorial board of Fertility and Sterility, Human Reproduction, RBMOnline, Human Reproduction Update and the Journal of Clinical Endocrinology and Metabolism. 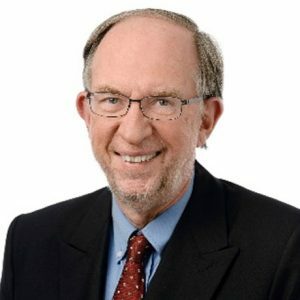 Professor Norman has published over 500 papers in peer reviewed journals, has more than 40,000 citations, making him the highest cited obstetrician and gynaecologist ever in Australia and has a h factor approaching 100, which is far above all other people in his specialty. Professor Norman has invested a lot of time and energy into assisting a group in Ho Chi Minh City, to develop their reproductive medicine program research and this was culminated a couple of months ago with an article in The New England Journal of Medicine, headed by the Vietnamese. He is also strongly involved with the People’s Third Hospital in Beijing with Professor Jie Qiao and is well known across the Asia Pacific region, particularly in India and China, where is frequently speaking and consulting. 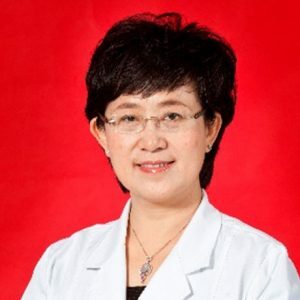 Professor Jie Qiao, President of Peking University Third Hospital and Reproductive Medical Society of Chinese Medical Doctor Association was awarded the Honorary Membership for her contribution towards the research and educational work within the fertility field. Besides contributing to ASPIRE as a Treasurer in the Executive Board from 2008 – 2012, she is also a Board Member of AEPCOS Society and the Treasurer of The Global Chinese Association for Reproductive Medicine (GCARM) & President of the Chinese Special Interest Group (ChSIG) under ASRM. Professor Qiao has been working on reproductive biology and the pathology of infertility since 1990 and her reproductive research focus on the molecular mechanism of human gametogenesis and embryo development, infertility causes and clinical treatments, the protection and preservation of female fertility as well as assessing the safety of assisted reproductive technology and developing new pre-implantation diagnosis methods. Professor Qiao’s team have made many landmark contributions to the development of reproductive medicine. She profiled the transcriptome and DNA methylome of human preimplantation embryo and germ cells. Findings were published in Jama, Cell, Nature, Lancet, and other leading journals, providing new insights into the mechanism of epigenetic regulation during embryonic development. Based on these, an innovative preimplantation genetic diagnosis (PGD) method, mutated allele revealed by sequencing with aneuploidy and linkage analyses (MARSALA), was established. Using next-generation sequencing with linkage analyses, it enabled simultaneous diagnosis of monogenic diseases and chromosome abnormality. More than 200 families have been diagnosed using MARSALA and, after early diagnoses, 26 healthy babies have been born. Professor Qiao plans to use this technique to benefit more patients with monogenetic disorders. After long-term exploration of polycystic ovary syndrome, the most common endocrine disorder among women of reproductive age, Professor Qiao’s team has also established a metabolic forecasting model and developed diagnostic criteria of hirsutism applicable to Chinese women. Professor Qiao have supervised over 37 doctorate students and released over 220 SCI publications, being the first author or corresponding author of over 160 SCI publications. 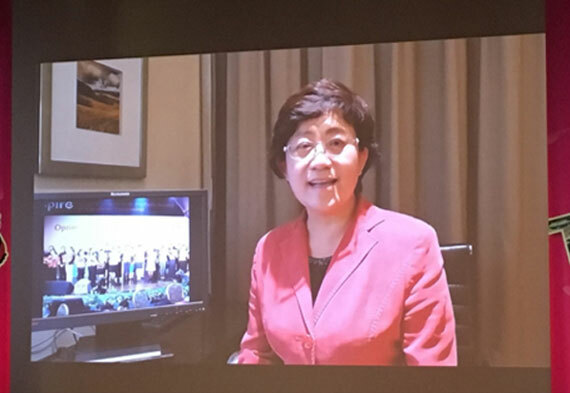 Professor Qiao was unable to join us at the ASPIRE 2018 and therefore, the award was received on behalf by Dr Rong Li, the Deputy Director for Reproductive Medical Center and Department of Obstetrics and Gynecology, Peking University Third Hospital.